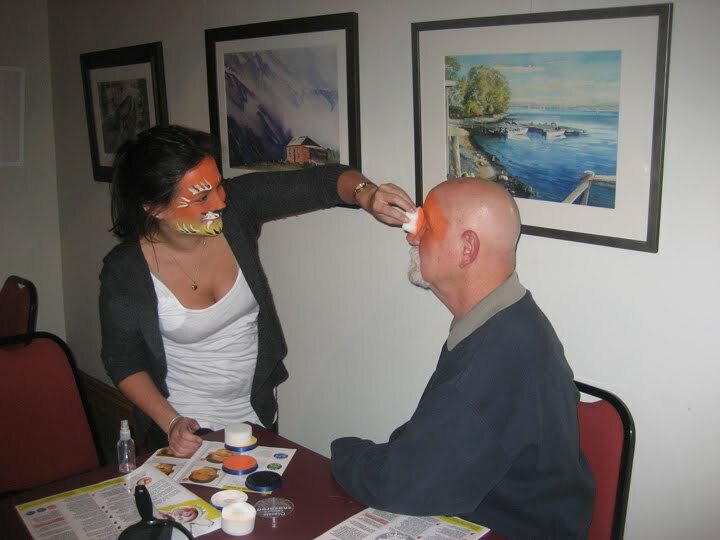 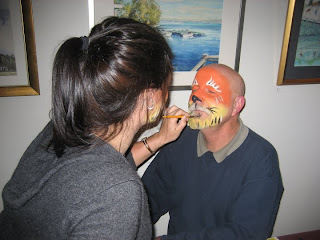 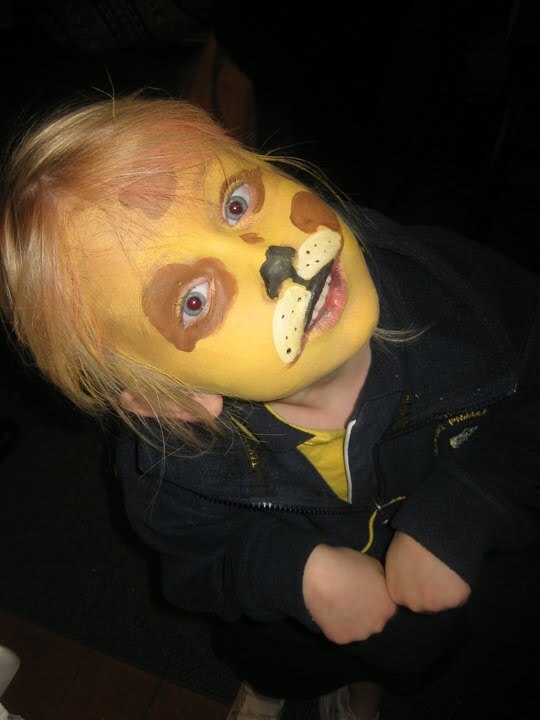 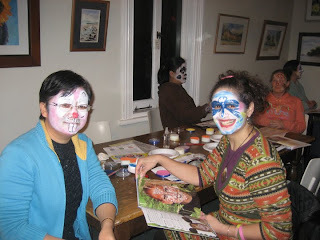 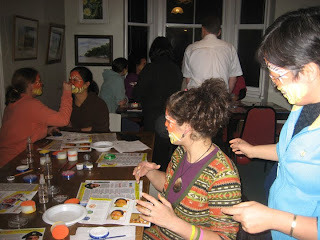 Good sport, Trish Currie from Jasco, let's Devon paint her into a Tiger. 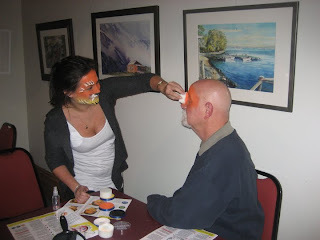 The General Manager of Snazaroo sharing painting tips. 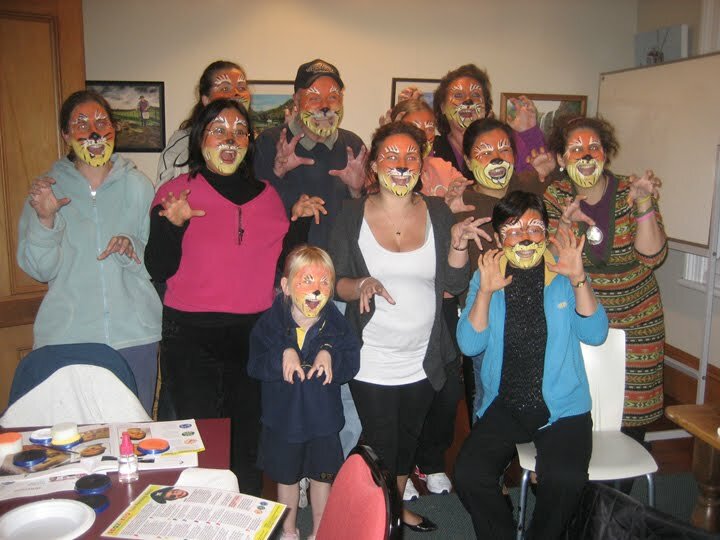 We all had 15 minutes to make our partners into Tigers using a photo "recipe". 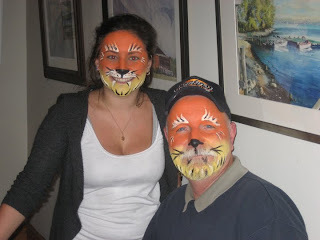 The finished Streak of Tigers...Grrrrr. Then, we all got to look through the Snazaroo Book and choose our next character. 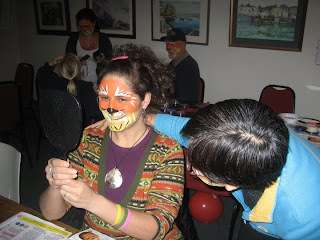 Thanks SNAZAROO for a wonderfully, fun evening. 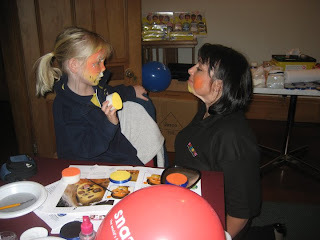 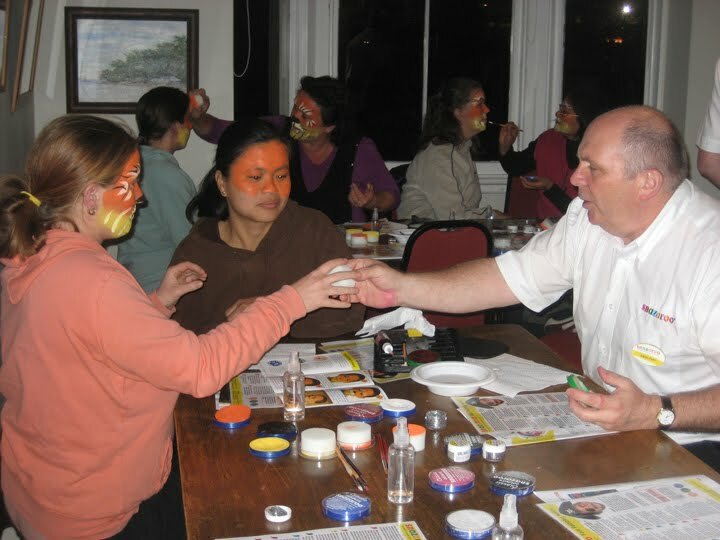 Snazaroo was established in 1989 and has grown from its modest roots supplying fancy dress hire shops to become the world's leading maker of water-based face and body paints. 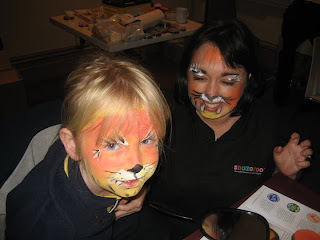 Today its UK factory creates and supplies hand-made face and body paints to over 20 countries around the world. We are currently stocking most of the Snazaroo line available to us in New Zealand.